Home Article Willow Palin, daughter of Former Republican Vice Presidential Candidate Sarah Palin Got ENGAGED to boyfriend Ricky Bailey, Few Days After Her Son Track Got Arrested! 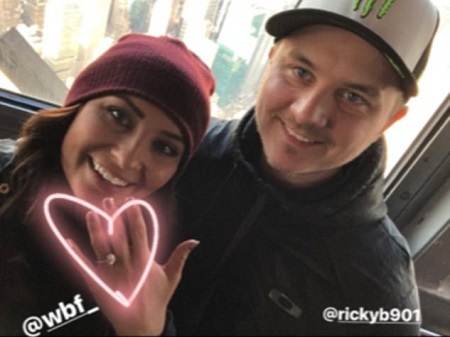 Willow Palin, daughter of Former Republican Vice Presidential Candidate Sarah Palin Got ENGAGED to boyfriend Ricky Bailey, Few Days After Her Son Track Got Arrested! Sarah Palin's one of the youngest daughters, Willow Palin is all set to walk down the aisle! 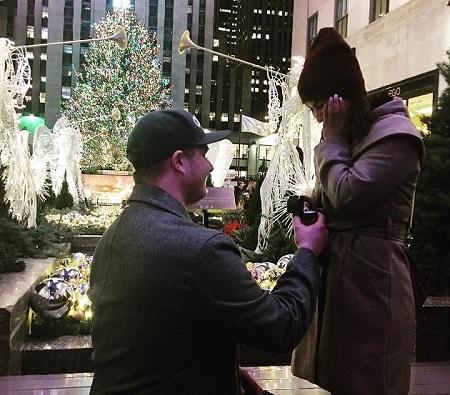 The 24-year-old recently got engaged-to-be-married to her longtime boyfriend Ricky Bailey and the Palin's happiness have doubled! This big news comes just a few days after Sarah's eldest son, Track got arrested by police with the charges of pummeling his father Todd. Palin clan will have a mixture of both happy and sad endeavors in the upcoming Christmas! While Sarah's son Track got arrested for violently assaulting his own dad, her daughter Willow is making him proud sharing the happy news of her engagement. The news broke on the media on Wednesday when Sarah shared the photo of the live proposal happening in NY city with Ricky going down on one knee, holding the ring to Willow, who is emotional, putting her hands against her cheeks with surprise and happiness. "Good things happen!!! My happiest baby girl Willow and Ricky, last night at Rockefeller Center!!! So, so happy!" Sarah also posted another collage of pictures of the family portrait, along with the huge engagement ring and soon to be a married couple on her Instagram, writing "Congrats' on big letters. "I am DYING!! My little sister is getting married!!!!! The Palin family is finally happy with the news as just a few days earlier, a terrible incident took place in the Palin's house when Track Palin, heavily drunk broke into their home and pummeled his father. Sarah had to call the police and get her son arrested and hauled off to jail. He's now charged with first-degree burglary, fourth-degree assault, and criminal mischief. This is not the first time Track being arrested as he was arrested back in 2016 on charges of domestic violence and beating up his girlfriend, Britta, who's the mother of Track's 6-year-old daughter Kayla. Willow Palin finally tied the knot to her fiance Ricky Bailey on Saturday, September 2018 in Alaska. The ceremony was a day after her brother Track was arrested on domestic violence charges. Willow took to Instagram and posted a black and white image of the duo. She was kissing her new husband at their table. Willow had been dating her boyfriend for the past five years and the two finally decided to walk down the aisle and start a new life together. Furthermore, the gorgeous lady posted a beautiful image of their wedding in January 2019. They just looked picture perfect!